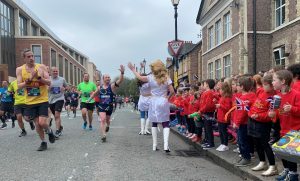 Rocking Out at the Manchester Marathon! 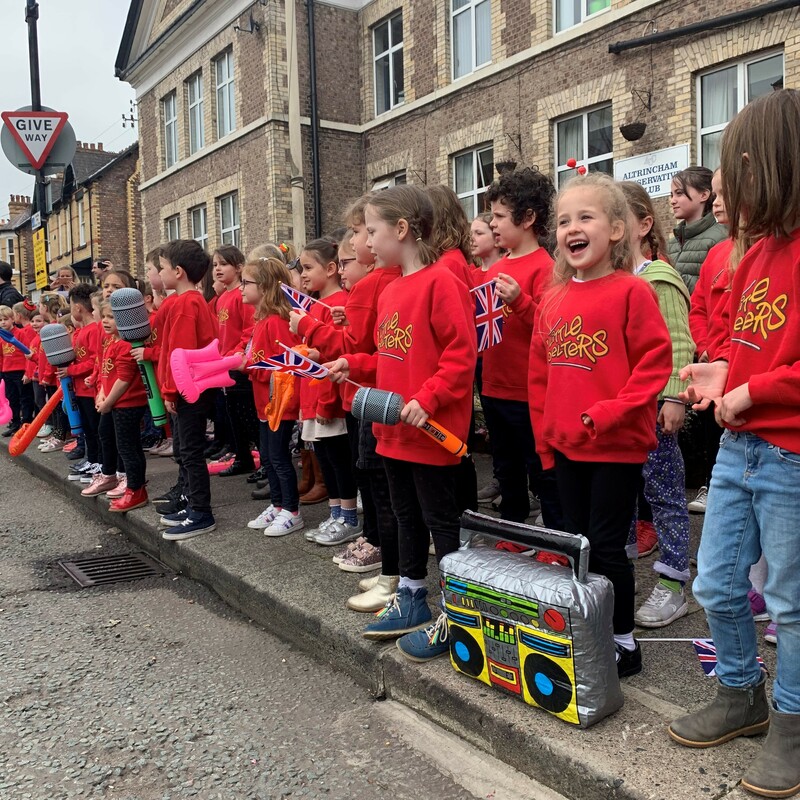 60 children from Altrincham Chorlton and Sale put on a winning performance at this year’s Manchester Marathon singing crowd-pleasing, upbeat songs to the 20,000 marathon runners who braved the challenging 26.2 mile route. Belting out classics such as I’m Still Standing (Elton John), I Predict a Riot (Kaiser Chiefs) and I’m Walking on Sunshine (Katrina and The Waves) got plenty of positive reactions from the passing runners, with high fives and air guitar moves giving the competitors a much need energy boost as they approached the half way point. This is the sixth year we’ve been a part of the Manchester Marathon and each year it just gets better. 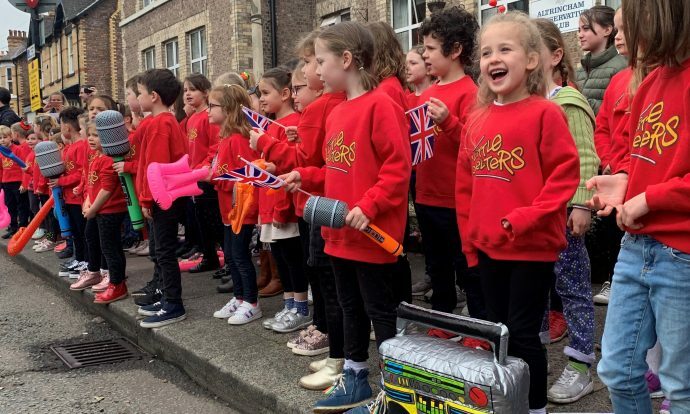 The children rehearsed their socks off for this performance and we were delighted to see their moment in the spotlight getting so much positive feedback. 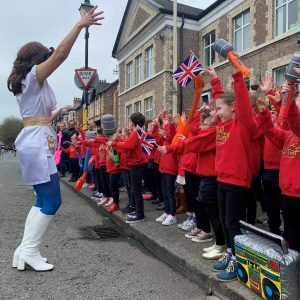 As well as the uplifting pop songs and enthusiastic voices, the costumes and props really helped to put a smile on the face of the competitors. Being part of this iconic Manchester event was a fantastic experience for us and the children. If your child loves to perform and wants to be part of this and lots of other performances, why not come along to one of our groups? There’s no audition, all abilities welcome and the first session is free.